Levelset methods were introduced in medical images segmentation by Malladi et al. in 1995. 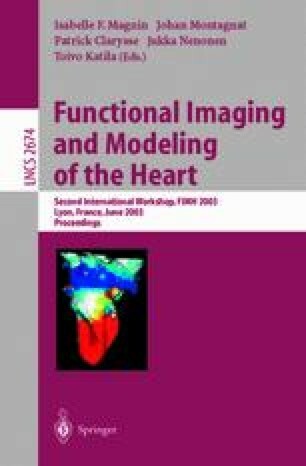 In this paper, we propose several improvements of the original method to speed up the algorithm convergence and to improve the quality of the segmentation in the case of cardiac gated SPECT images. We studied several evolution criterions, taking into account the dynamic property of heart image sequences. For each step of the segmentation algorithm, we have compared different solutions in order to both reduce time and improve quality. We have developed a modular segmentation tool with 3D+T visualization capabilities to experiment the proposed solutions and tune the algorithm parameters. We show segmentation results on both simulated and real SPECT images.